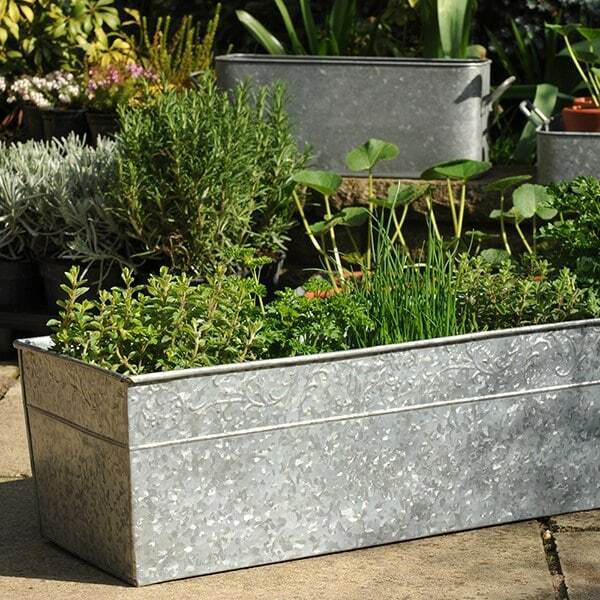 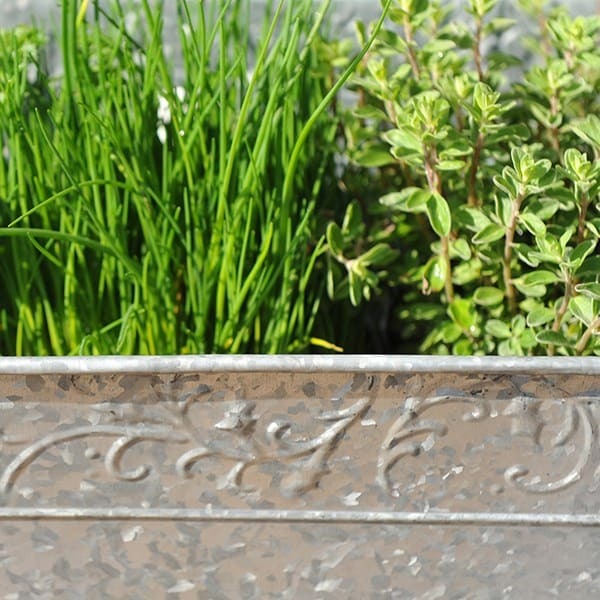 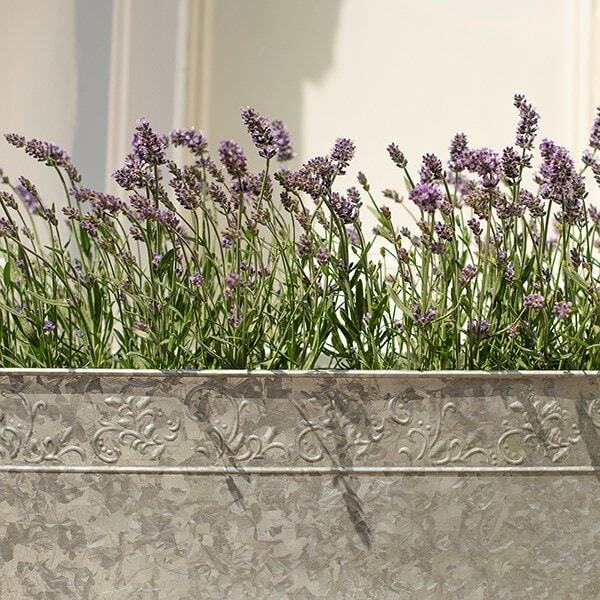 Made from tough galvanised steel and embossed with an ornate filigree pattern, this stylish window box makes it easy to create a miniature herb garden for the patio, balcony or windowsill. 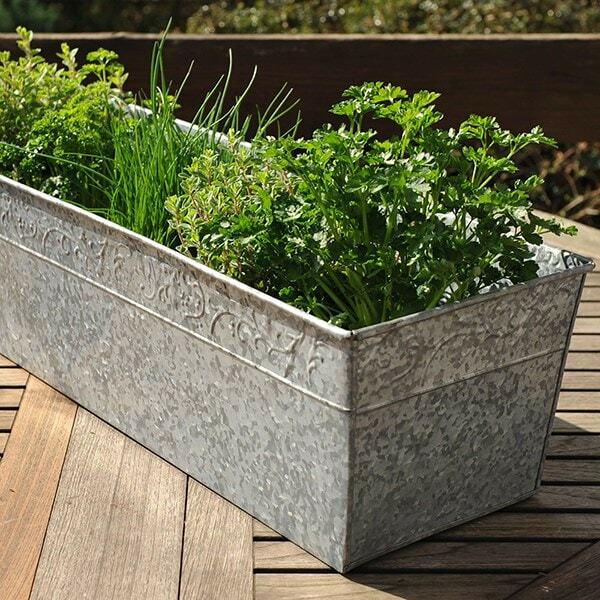 Fill it with your favourite herbs and place somewhere prominent to let their fragrance fill the air. 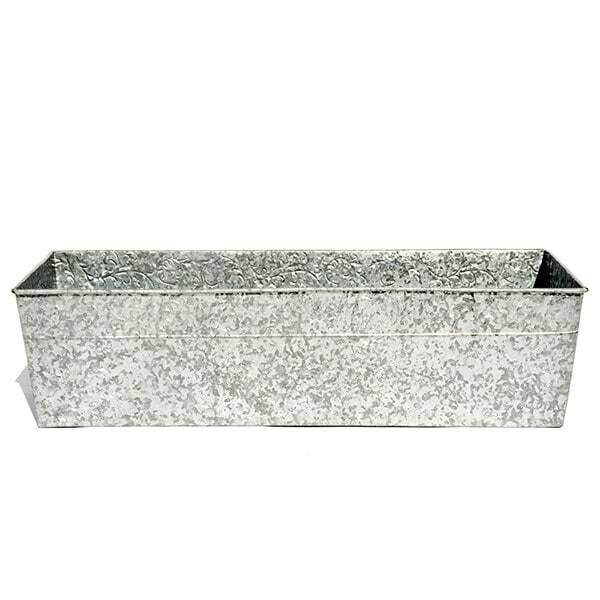 The vintage style trough is supplied without pre-drilled holes in its base. 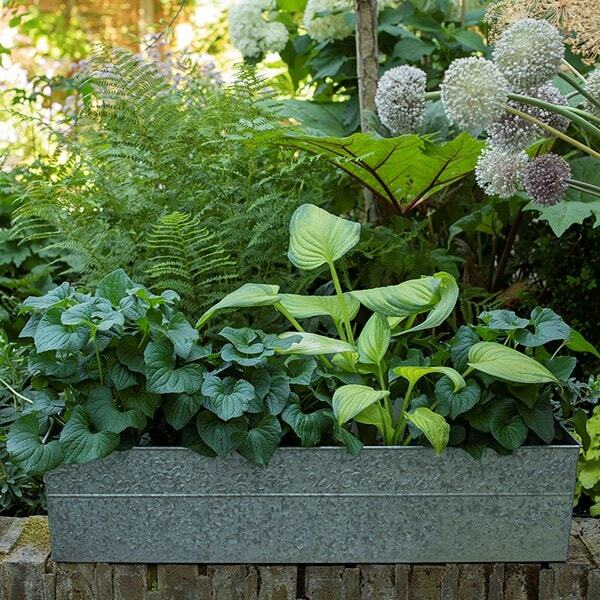 For outdoor use and direct planting, holes will need to be drilled. 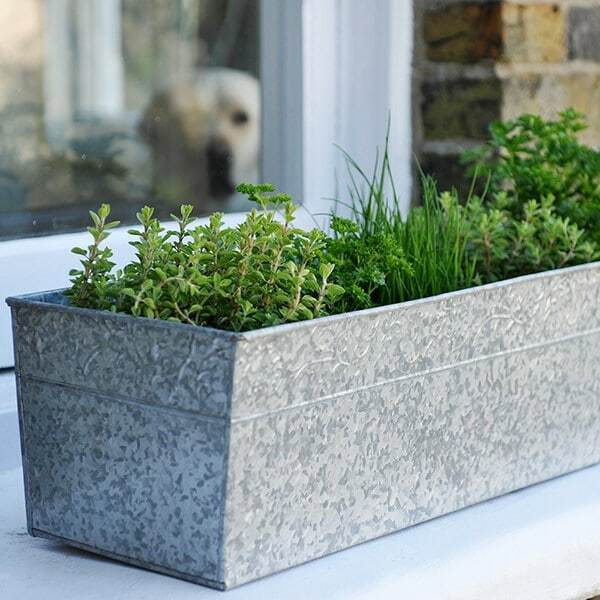 Once you have done this we suggest that you seal the edges of the holes with a little paint or lacquer to prevent rusting. 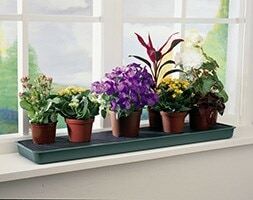 It can also be used as a cachepot to hold several pots indoors. 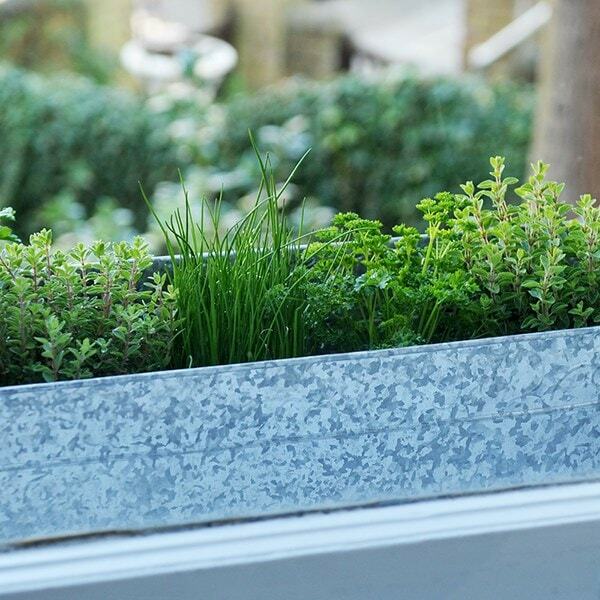 Combine with our self-watering windowsill plant tray sat inside the base to stop pots from drying out (link below).